Hey all! Our album release show for our new LP, For The Lovespun Ramblings and Ghosts in our Shoes, is on November 6th at Company Brewing. We’ll be performing with our friends, Grasping at Straws. It’s going to be an awesome night and we can’t wait to see you all there. In advance of our show, our album will be available digitally on October 9th on iTunes, Amazon MP3, Bandcamp and most other outlets. In the interim, enjoy this trailer which shows a bit of our recording process. Our closing track, Mångata, features sound captured in the field in Grant Park along the Seven Bridges Trail in Milwaukee. Notes: With our friends, Grasping at Straws, celebrating the release of our new LP, For the Lovespun Ramblings and Ghosts in our Shoes. 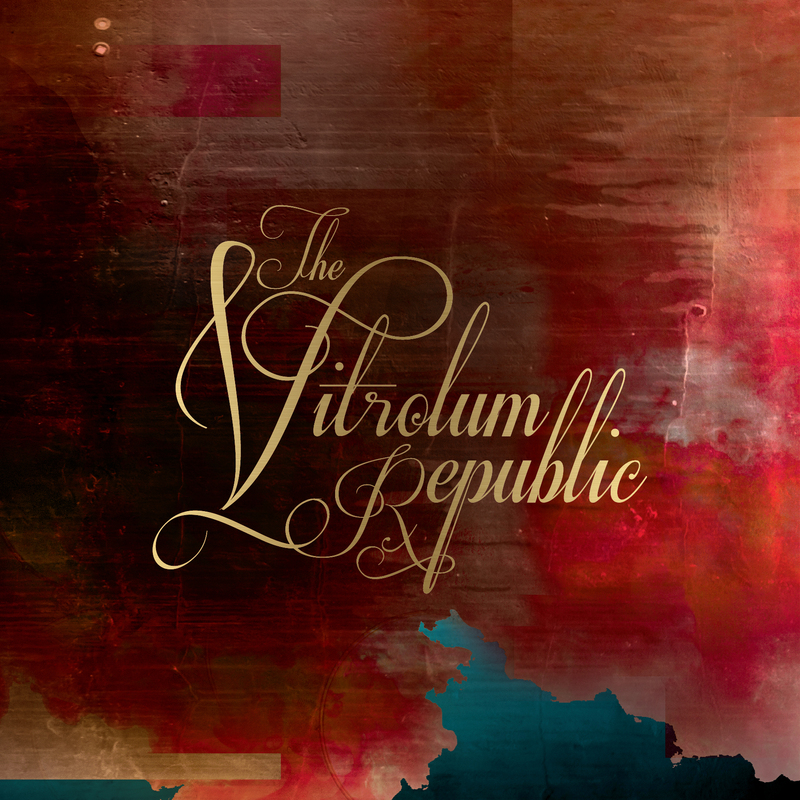 Today we are proud to announce that The Vitrolum Republic’s latest studio LP is finished. The album is called For the Lovespun Ramblings and Ghosts in our Shoes, and is the culmination of nearly four years of effort. It takes our acoustic folk roots to a more modern sound by way of experimentation both in the studio and on the stage over the past decade in Milwaukee’s music scene. New instrumentation, both acoustic and electric, coupled with extensive use of looping during live performances inform a more complex production for our sophomore release. 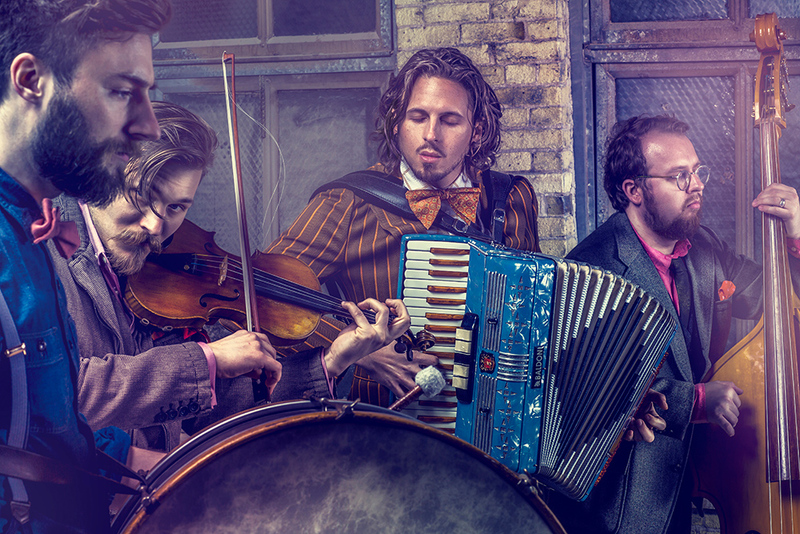 The lineup is the same over the past 4 years, featuring Jordan Waraksa on fiddle, guitar and vocals, Nick Waraksa on piano, accordion and ukulele, Chuck Lawton on guitar, banjo, bass and supporting vocals, and Benjamin Schaefer on percussion. Songwriting for this album was a collaborative effort from the start with each of us bringing our unique musical background and experiences to bare. The themes in this album are simultaneously universal and intimate, touching on love and loss and the journey we all take to find our way on a chaotic sea to the individual islands of our home. The album will be released digitally on October 9th, 2015. Our album release show will be on November 6th, with more details to come. To celebrate this upcoming release, we’re making our new LP available for streaming on our bandcamp page and right here on our website. Listen and share and let us know what you think. Additionally, You can now name your price for our previous release on our bandcamp page as well. Thank you to everyone for your support over the past few years. We have a great release here and we hope you love it.